The bulldozer blade is a heavy metal plate on the front of the bulldozer, used to push objects, and shove sand, soil, debris (Solid Waste Material) , and sometimes snow etc. PAT blades have the ability to angle, tilt, and lift in all possible directions. They can be controlled right from the driver’s seat of a dozer using a joystick. 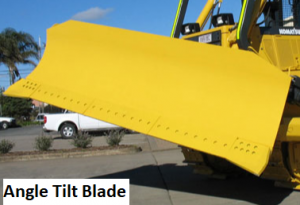 This type of blade is ideal for ground leveling, scraping, grading, land-clearing, and back-filling. This is the shortest type of blade, and it doesn’t have a lateral curve or side wings. 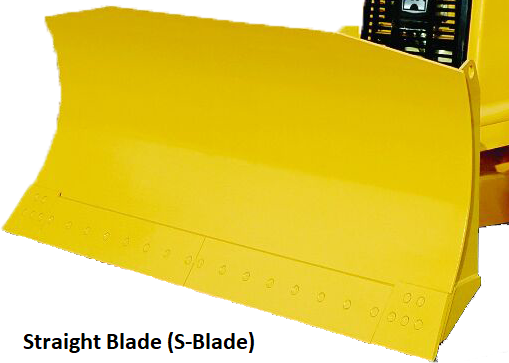 S-blades are often outfitted by hydraulic tilt cylinders, which allow for more forceful dozing. Because of its straight shape, this type of blade does not enable you to carry heavy loads. It is best suited for jobs like fine grading, ditching, and stripping. This is one of the tallest and widest types of blades. It has a curved shape and big side wings, which allows it to carry more debris and other materials than other types of blades. It’s an ideal choice for when you’re breaking up and carrying large quantities of medium and soft soil especially with the skillful application of the tilt feature.. 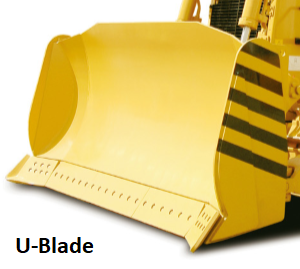 The SU blade is the middle ground between an S-blade and a U-blade. It’s smaller than a U-blade with smaller wings, and it can carry more than an S-blade. It’s perfect for moving piles of rocks, levelling and crowning. 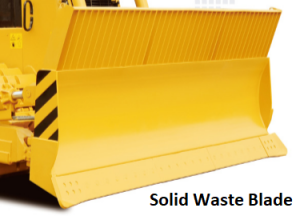 The Solid Waste Blade enables the machine to shift more waste than standard blades and also protects the front radiator, thus overall increasing the efficiency of the machine.